Cedar Crest College is known for high-quality nursing education, and our program grew even stronger when we added the Master of Science in Nursing degree. Nurse Educator - This track will give you the skills to help prepare the next generation of nursing professionals, and to advance the knowledge of current nurses and health care consumers. You’ll learn to create effective learning environments for clients and students; evaluate how well they’re learning; formulate outcomes and design curricula; engage in scholarship; and function as a change agent and leader. Nurse Administrator - In this track, you’ll learn to understand and evaluate the impact of nursing decisions; improve the effectiveness of your organization; lead and manage a diverse work force; develop collaborative relationships within your organization and community; and facilitate change. In both tracks, our curriculum is built on “Evidence-Based Practice” – in other words, we prepare you to investigate and integrate the practices in your specialty area that are most effective. In the final semester you’ll develop an Evidence-Based Practice project under the guidance of an expert faculty advisor. 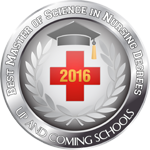 The masters program also has a strong focus on nursing practice. 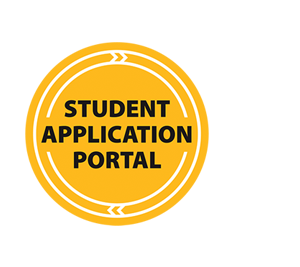 You’ll gain real-world experience in a variety of settings including hospital, clinic, school and community. We offer small class sizes to ensure you’ll get plenty of individual attention, and a flexible schedule to accommodate the needs of today’s working nurse. You can complete the program in two, three, or four years (at your pace). Cedar Crest's Master of Science in Nursing program is fully accredited by the Accreditation Commission for Education in Nursing (ACEN), 3343 Peachtree Road NE, Suite 850, Atlanta, Georgia 30326, 404-975-5000 .